More than half of high school kids in Saskatchewan aren't prepared to hold down a job, according to a new Canadian Federation of Independent Business (CFIB) report released today. More than half of Saskatchewan business owners don't think high school kids are prepared to hold down a job. That's according to a new Canadian Federation of Independent Business report released Thursday. "There's this gap between what employers need and the skills our educational institutions are emphasizing," said Marilyn Braun-Pollon, CFIB's Prairie and agri-business vice-president. "Too many young people enter the workforce without the critical soft skills employers are looking for, which really does put them at a pretty serious disadvantage when they look for that foundational first job … things like a good attitude or strong communication skills or professionalism," she said. More than 56 per cent of Saskatchewan employers (compared to 51 per cent nationally) surveyed said they were dissatisfied with how high schools prepare youth for employment. Only 32 per cent of Saskatchewan employers surveyed said they were satisfied. The report recommends schools teach youth more communication and problem-solving skills. It says above all else, business owners are looking for youth who are motivated and have the proper attitude. Universities didn't fare much better in the report, entitled Hire Education: Connecting youth and small businesses for the jobs of today. Only 36 per cent of Saskatchewan employers (37 per cent nationally) surveyed said they were satisfied with how universities prepare their students for a career and 26 per cent were dissatisfied. Colleges are doing the best at preparing grads for employment, the report suggests. About 43 per cent of Saskatchewan respondents (51 per cent nationally) were were satisfied with how colleges prepare youth for employment while 20 per cent were dissatisfied. The report recommends high schools and post-secondary institutions reach out to the business community to help revamp their curriculums to emphasize so-called "soft skills" like workplace communication, problem solving and networking, and promoting careers in the trades where there is a worker shortage. 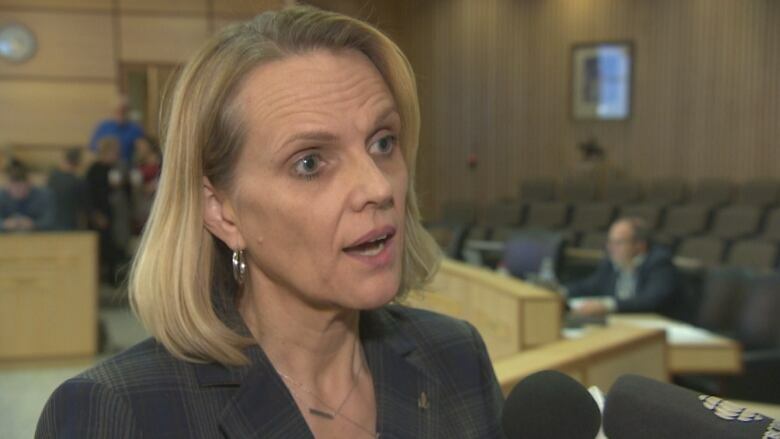 "There is still stigma for some reason around skilled trades and we are seeing is a disconnect there," Braun-Pollon said. "Our workforce today and in the future will need tradespeople as much as it needs tech workers and white-collar professionals." Governments and schools could do more by expanding internships and co-op work placements. To entice small business owners to hire youth. the report recommends offsetting the cost of hiring through measures like co-op tax credits or a holiday on employment insurance premiums. The CFIB youth employment online survey was conducted from May 22 to June 26, 2018, based on a sample of 6,398 small business owners from Canada. A probability sample with the same number of repondents would have a margin of error of 1.23 per cent, 19 times out of 20.